The Congregation of Marian Fathers of the Immaculate Conception of the Most Blessed Virgin Mary (Latin: Congregatio Clericorum Marianorum ab Immaculata Conceptionis Beatissimae Virginis Mariae; abbreviation: M.I.C.) is a Roman Catholic male clerical religious congregation founded, 1673, in Poland. It is also known as Marians of the Immaculate Conception. The Congregation of about 500 priests and brothers has convents in 19 countries on 6 continents. Marians pledge support to the Pope and follow the official teachings of the Catholic Church and aim to spread devotion to Blessed Virgin Mary as the Immaculate Conception, pray for the souls in purgatory and undertake a variety of apostolic work. Marians were the first Catholic men’s religious institute dedicated to the honor of Mary’s Immaculate Conception. The community traces its roots to Saint Stanislaus of Jesus and Mary Papczyński who was beatified in Basilica of Our Lady of Licheń, Licheń Stary, Poland, in 2007. 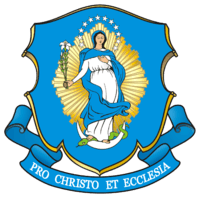 As an Institute of consecrated life their motto is Pro Christo et Ecclesia. Marians are also the official promoters of the authentic Divine Mercy message since 1941. 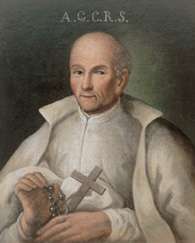 Saint Stanislaus of Jesus and Mary Papczyński, Founder of the Marians, on the oldest existing portrait from the end of the 17th century, Marian monastery in Skórzec, Poland. The Congregation was formed by Saint Stanislaus Papczyński in 1673 in Puszcza Korabiewska (today known as Puszcza Marianska/Marian Forest) near Skierniewice, Poland. He began to establish the Congregation with a small group of companions. Their shared life was based on the Rule of Life, written by St. Stanislaus. He tempered his plans at first to establish a community active in the Church's service. At the beginning, the Marian Fathers lived an eremitical rule of life as they pursued final recognition and approval by the Church. Within a short time, the new and still small institute received approval from their local Ordinary, Bishop Stephen Wierzbowski of Poznan. Pope Innocent XII granted his approval for the young institute in 1699 with solemn vows under the French Rule of the Ten Virtues of the Blessed Virgin Mary, initially placing them within the Franciscans. With the death of the Founder in 1701, however, the Marian Fathers found themselves in a critical period of transition. Internal factions divided the membership into one group favoring a strictly contemplative life, and a second group seeking to add missionary and pastoral outreach to the institute's contemplative spirit. The period known as the "Rostkowski Dispersion" followed, fired by internal conflict, as well as the negative attitude expressed by some bishops and lay dignitaries. 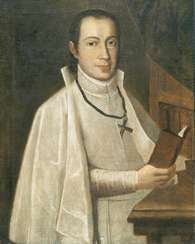 In 1716, Bishop Adam Rostkowski decided to close the Marian novitiate, instructing Marians to leave the monastery and move out to assume pastoral work in parishes. In 1722, Bishop John Tarlo of Poznan called the scattered Marians back to their monasteries, and convened a general chapter. The man elected to serve as Superior General was Fr. Andrew of St. Matthew Deszpot, a Czech originally received into the institute by the founder St. Stanislaus. At the same chapter, a General Procurator was chosen, Fr. Joachim of St. Ann Kozłowski. He was given the mission of going to Rome to have the institute's constitutions confirmed, and to remove the institute from the jurisdiction of local bishops. 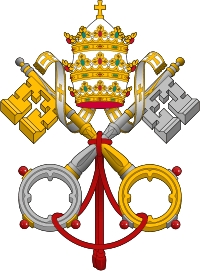 In 1723, Pope Innocent XIII approved the Marian statutes and released the institute from the interference of local bishops. The rest of 18th century was marked by steady growth as the Marians expanded from Poland to Portugal and Italy thanks to the efforts of two outstanding Superior Generals of the institute: Venerable Serv. of God Casimir Wyszyński (1700–1755) and Raymond Nowicki (1735–1801). Rapid changes in the European political situation by the end of the 18th and through 19th century led to the near destruction of the institute. Again, in 1798, after Napoleon seized Rome, he mandated that all foreigners be expelled from its borders. The exodus included the Marian Fathers removed from their monastery and Rome's St. Vitus Church. The defeat of two Polish national uprisings against Czarist Russia, one in November 1830, and another in January 1863, meant repression for religious institutes in Poland. The Czarist regime prohibited the acceptance of new candidates to the religious life, effectively stamping out the normal process of growth in vocations to the religious life for the Marian Fathers and other institutes. One of the most famous Marians in the 19th century was Fr. Christopher Szwernicki. In 1852, he was exile to Irkutsk, where he built the church and an orphanage for the deportees’ children. In 1888 he was titled "Apostle of Siberia" by pope Leo XIII. By 1865, the Russian occupying forces allowed only one Marian monastery to remain open in Marijampole, Lithuania. All Marians were sent to Marijampole. Such rulings were nothing less than a death sentence for the religious institute. By the year 1904, that last Marian house closed, since so few Marians remained. By 1908, only one Marian remained, Vincent Sękowski (Senkus). He was the last Superior General. All other Marians had died, or asked to leave to join the ranks of the diocesan clergy. For all appearances, the Czarist persecutions had succeeded. The Marian Fathers seemed to have come to the end of the line. At this critical moment in the history of the Marian institute, an ardent and energetic Lithuanian priest came to visit Fr. Vincent Sękowski, with the aim of secretly renewing it. He was Fr. George Matulaitis-Matulewicz, and at that time he was a professor at the Academy of Theology in St. Petersburg, Russia. Fr. Matulaitis had a profound understanding of the contributions and significance of religious life to society, although Catholic monasteries were being suppressed at that time. He believed it was important to do whatever needed to be done to revive religious life in the lands dominated by Czarist Russia. 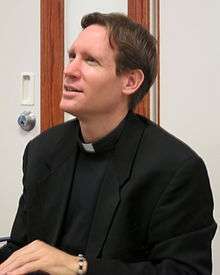 Father Michael E. Gaitley, MIC is a popular preacher and author in the United States. As a youth, he had been brought up in a village where the Marian Fathers staffed the local parish. The experience had left him with a lifelong respect and admiration for the Marian Fathers. And so Fr. George, along with his friend Fr. Francis-Peter Bucys who had also grown up with Marian religious influence, entered the Marian institute with the intention of saving it from disappearing into history, along with all its promise for God's work. They had to become Marians in secret in order to thwart Czarist Russian authorities who continued to persecute the Church. Fr. George made his vows and was accepted into the Marian institute by Fr. 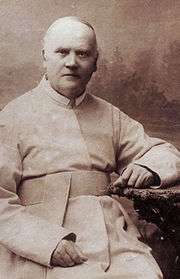 Vincent Sękowski, and in the same year, 1909, Fr. Francis Peter Bucys became the first novice of the institute on its way to renewed life. Fr. George wrote the renewed institute's constitutions, inspired by the spirit of St. Stanislaus Papczyński and the desire to adapt his ideals to modern times. The new Constitutions and revived form of Marian life were approved by St. Pope Pius X in 1910. Fr. 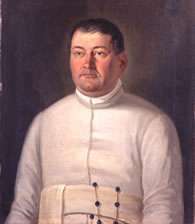 Vincent Sękowski, who was the last of the “White Marians”, lived on for five months after papal approval for Marian renewal. To assure that the institute could continue to flourish without interference from the Czarist government, the secret Marian novitiate and house of studies were transferred from St. Petersburg in Russia to Fribourg in Switzerland. From this time on, the Marian Fathers began to experience consistent growth. 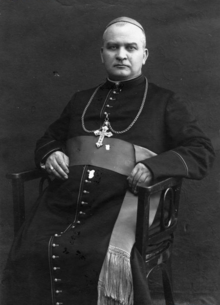 In 1927, the year when the Renovator, then Archbishop George Matulaitis-Matulewicz, died, the Congregation had grown to around 300 members (among them: Blessed George Kalusza, Servant of God Eugene Kulesza, Servant of God John Mendriks). Fr. Francis P. Bucys succeeded Blessed George as the Superior General of the renovated Congregation. 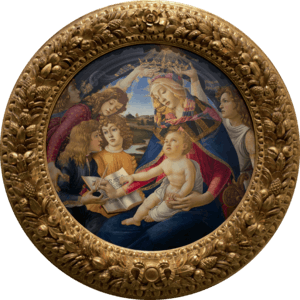 Thanks to the Renovator's reforms, the Marian Fathers became a modern religious congregation. Yet Blessed George Matulaitis did not change the main ideals of the religious community, such as spreading devotion to the Immaculate Conception of the Blessed Virgin Mary and supplication for the souls suffering in Purgatory. However, he did expand the field of the Marian apostolate and introduced significant changes into the Marian Fathers' way of life, adapting it to the new conditions and needs of modern times. Although it is now an international organization, the Marians still have strong roots in Poland, (e.g. the Sanctuary of Our Lady of Lichen) and place a great deal of emphasis on spreading the messages of Divine Mercy of Saint Faustina Kowalska. 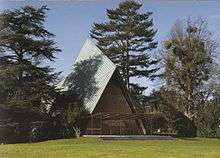 Between 1953 and 1986 the Marian Fathers operated two boarding schools, Divine Mercy College, at Fawley Court near Henley-on-Thames, Oxfordshire, England and the second at Lower Bullingham near Hereford. Though intended for boys of Polish origin, in particular the children of the 100,000+ Poles who found exile in Britain after the Second World War, a significant proportion of the boys accepted were non-Poles. In 1996 Fr. Seraphim Michalenko, MIC, and Fr. George Kosicki, CSB formed the John Paul II Institute of Divine Mercy to provide instruction in Divine Mercy theology and spirituality to both parish leaders and clergy. At its inception, Pope John Paul II entrusted the Institute with the task of providing "formation and research in The Divine Mercy message". Their role in spreading the Divine Mercy message was acknowledged by Pope John Paul II in a special Papal Blessing in 2001, the 70th anniversary of the revelation of the Divine Mercy Message and Devotion. With a Polish Pope in the chair of St Peter and the Fall of the Berlin Wall, the circumstances were ripe for a resurgence of the medieval Marian cult in Poland. The Fathers laid plans to erect an ambitious new shrine to Mary, to rival that of Czestochowa, in the village Licheń Stary, scene of a 19th-century Napoleonic soldier's devotion. The resulting Basilica and visitor centre, designed by Barbara Bielecka and blessed in 1994 John Paul II, was completed in 2004 and is said to be the largest church building in Poland. The construction was said to have been funded entirely by pilgrims' donations. In 2009 the Marian Fathers controversially sold Fawley Court, Buckinghamshire, which had previously served as a school, museum and focus for the Polish community in Britain. ↑ "The Basilica - SHRINE OF OUR LADY OF LICHEN Sorrows IN OLD". SHRINE OF OUR LADY OF LICHEN Sorrows IN OLD. Retrieved 9 August 2016.